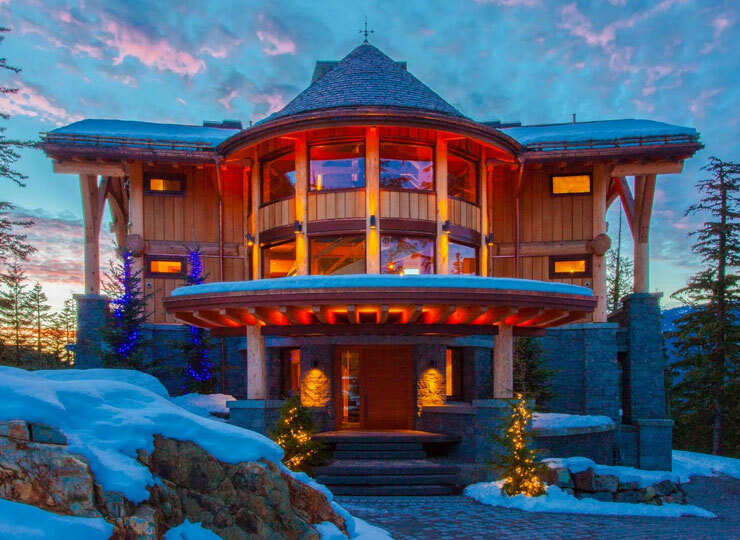 Custom home. 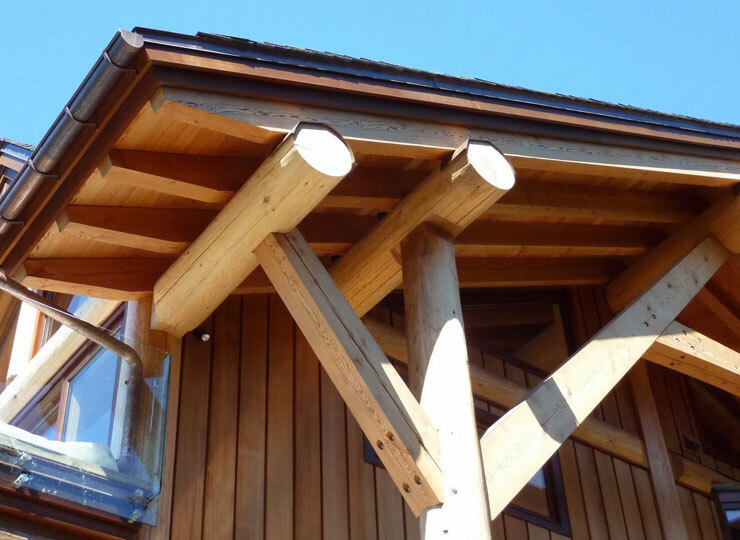 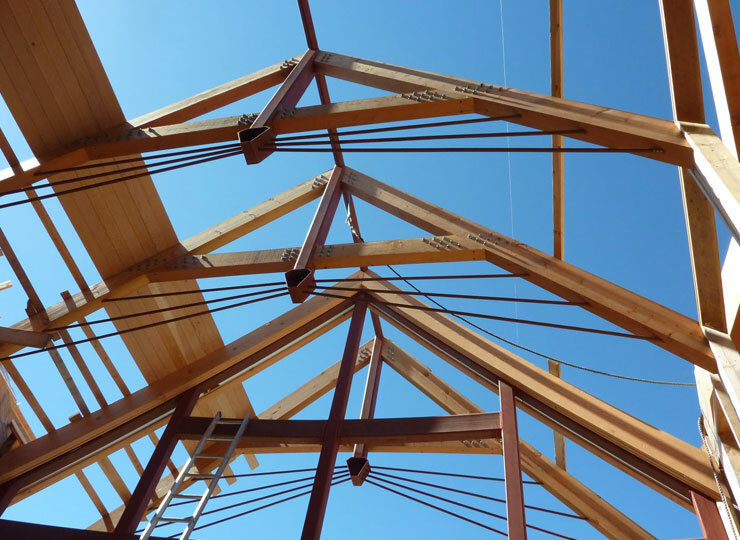 Log structure with extensive use of heavy timber and steel reinforced truss system. 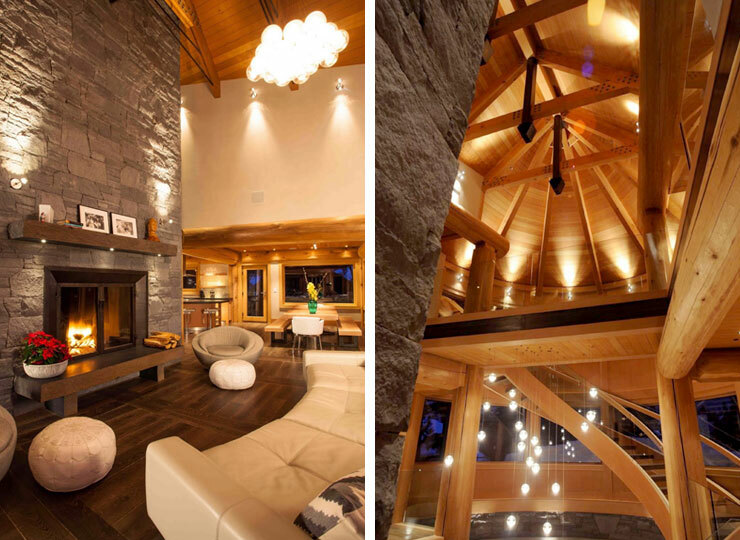 60 foot high central chimney serves as structural centre but also houses 2 fireplaces and is a climbing wall. 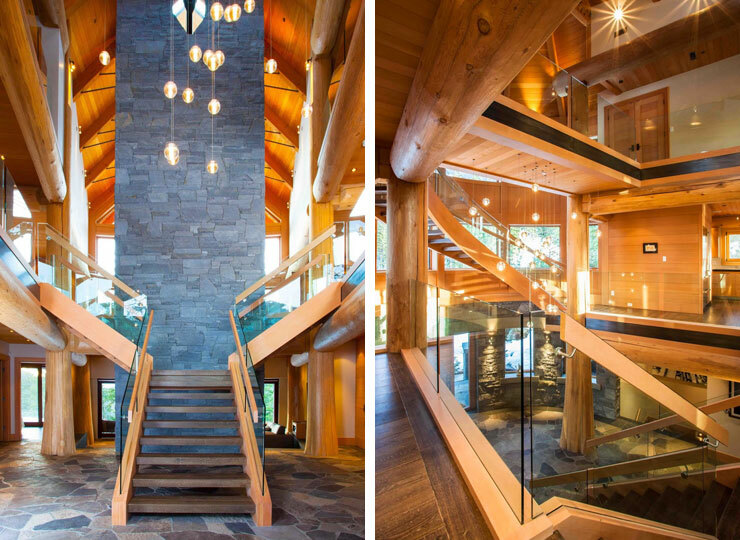 Entry hall is 3.5 storeys high, great room 2.5 storeys high, all main rooms around a central pie shaped atrium that opens towards a magnificent mountain view. 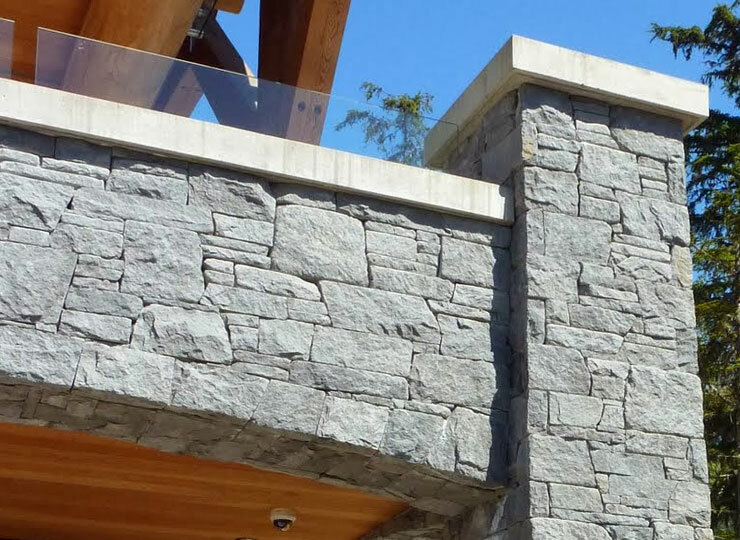 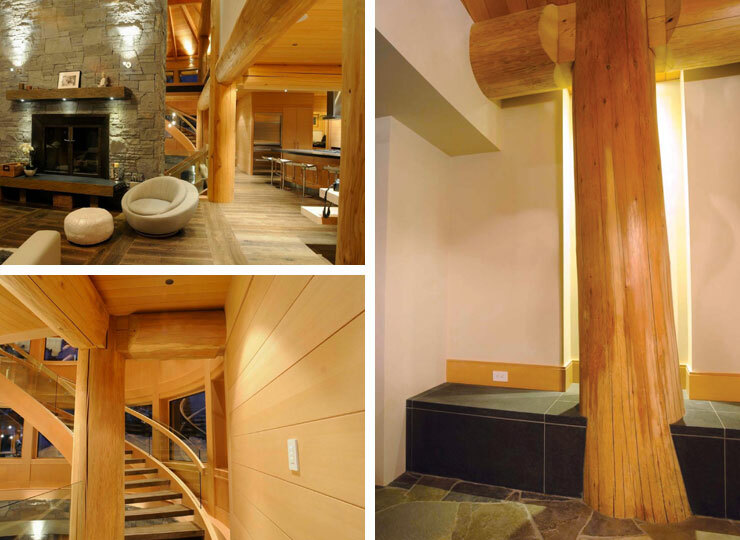 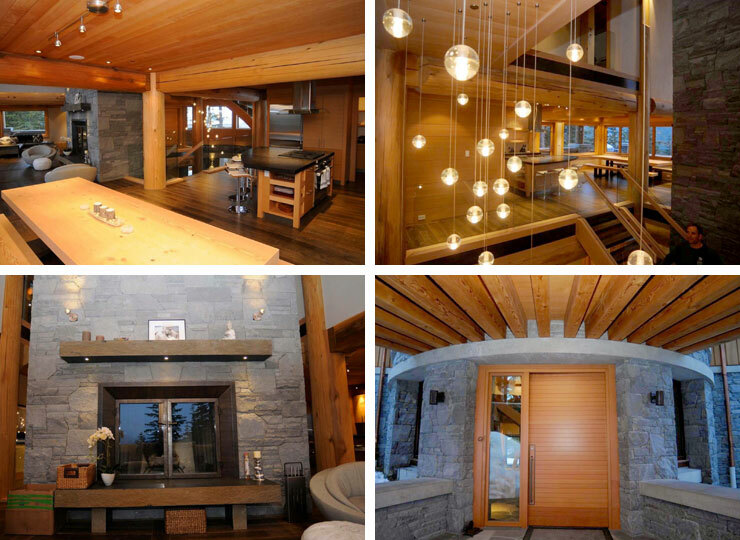 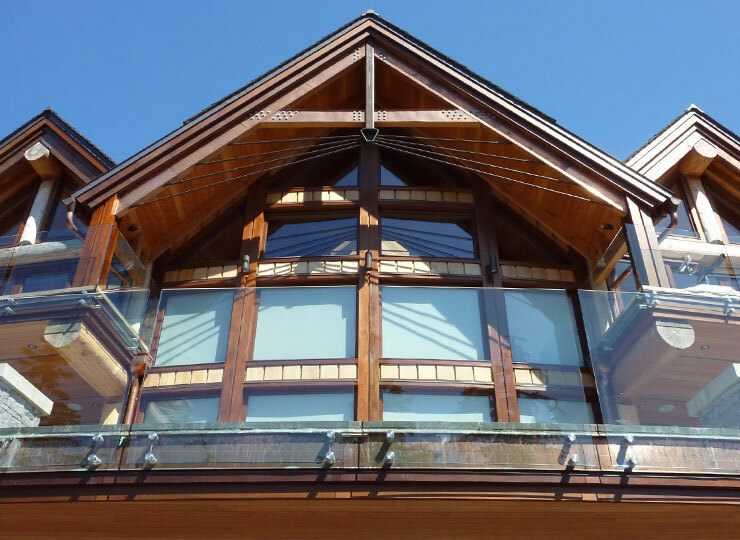 Extensive use of natural stone and wood finishes. 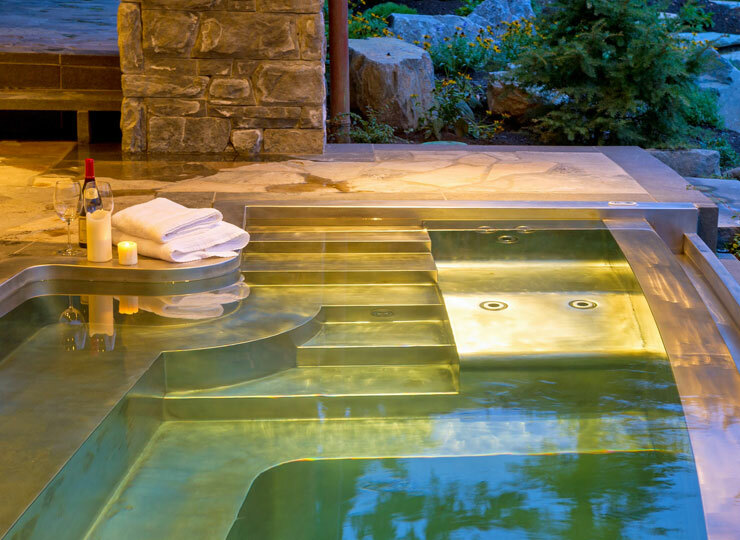 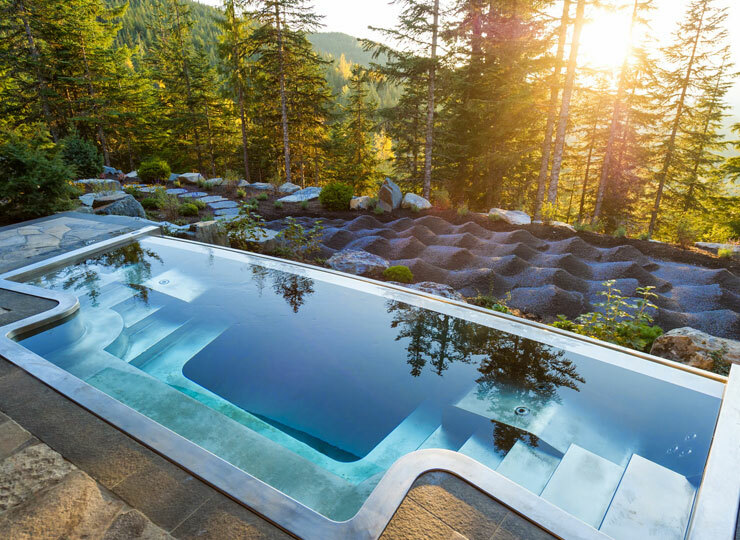 A hot tub to die for, photos by Mike Crane Photography.